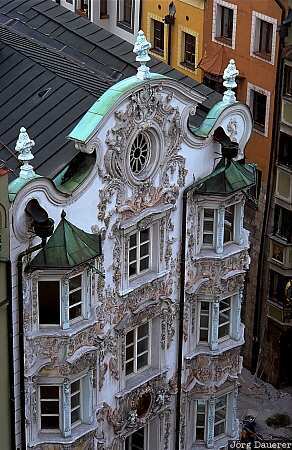 The Helbinghaus with rococo structures in downtown Innsbruck seen from the tower of the city (Stadtturm). Innsbruck is the capital of the state (Bundesland) Tyrol in Austria. This photo was taken in May 2000.